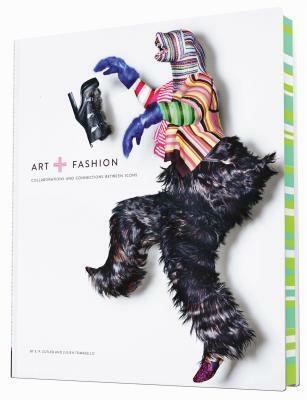 A volume of magnificent proportions, Art + Fashion is as exciting and elegant as the creative partnerships it celebrates. Spanning numerous eras, men and women's fashion, and a wide range of art mediums, these 25 collaborative projects reveal the astonishing work that results when luminaries from the art world (such as Pollock, Haring, and Hirst) come together with icons of the fashion world (including Saint Laurent, Westwood, McQueen). From 20th-century legends such as Elsa Schiaparelli and her famous lobster dress painted by Salvador Dalí to 21st-century trailblazers such as Cindy Sherman and her self-portraits in vintage Chanel, these electric and provocative pairings—represented in lavish visuals and thoughtful essays reflecting on the history of each project—brim with the energy and possibility of powerful forces uniting. E. P. Cutler is an internationally published fashion journalist and fashion historian. She lives in New York City. Julien Tomasello is an award-winning art and photography editor based in New Jersey. "Having a foot in both disciplines, working as an artist and teaching my grad fashion students at The School of the Art Institute, I am very interested in the conversation that happens at this intersection and how it advances each practice. I am looking forward to seeing how Art + Fashion will open up this conversation and connection further and share it with a wider audience."